The hydrolock unilateral is intended for a free transmission of working liquid in the direct direction, and when giving pressure of management – in the opposite direction in hydraulic systems of construction, road and municipal cars. 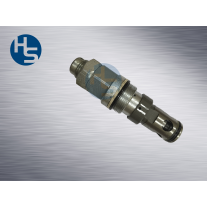 Safety valves 510-20-100, 510-20-100-01, 510-20-100-02 Du of =20 mm are used to protection of volume hydraulic drives from pressure exceeding set in hydraulic systems. 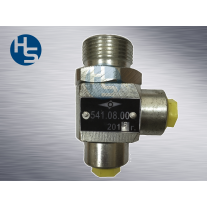 Unbelievable price on Guides hydraulic valves in Melitopol (Ukraine) company Gidroservis-M, OOO. Wide choice of quality products at affordable prices.